Original painting is 11 X 14, oil on gallery wrap canvas (2 in deep) painted on sides so there is no need to frame and it is sold unframed. 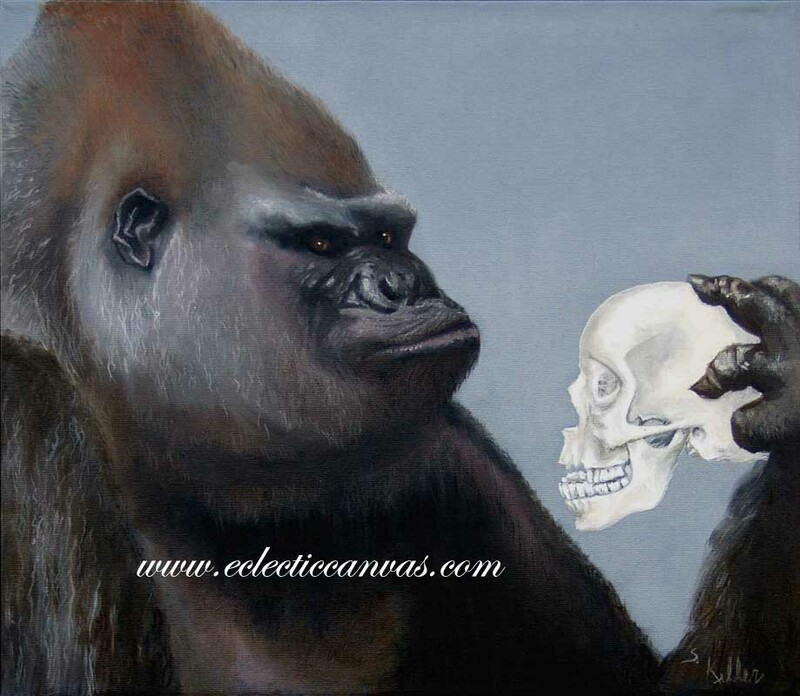 It depicts a contemplative ape "Alas, Poor Yorich! I knew him Horatio". This painting received an "Honorable Mention" award in the Naperville Art League's 2007 annual public art competition.